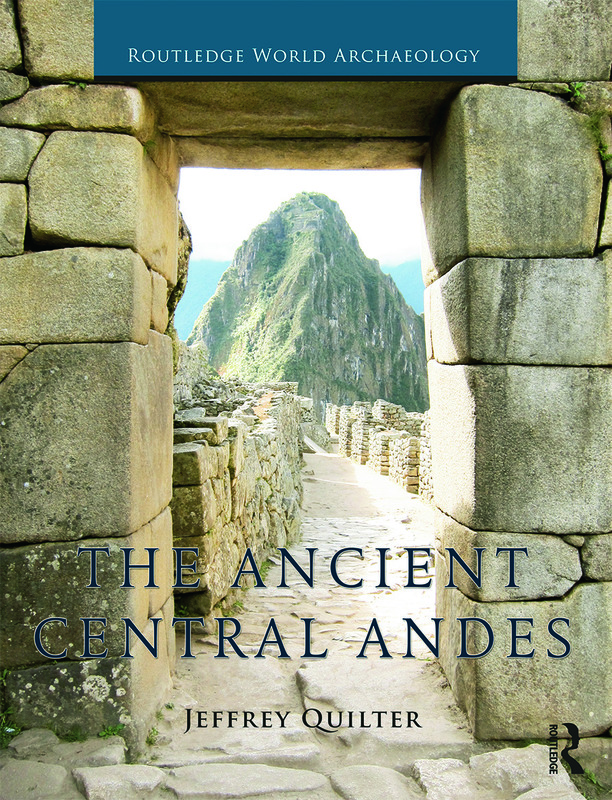 The Ancient Central Andes presents a general overview of the prehistoric peoples and cultures of the Central Andes, the region now encompassing most of Peru and significant parts of Ecuador, Bolivia, northern Chile, and northwestern Argentina. The book contextualizes past and modern scholarship and provides a balanced view of current research. Two opening chapters present the intellectual, political, and practical background and history of research in the Central Andes and the spatial, temporal, and formal dimensions of the study of its past. Chapters then proceed in chronological order from remote antiquity to the Spanish Conquest. A number of important themes run through the book, including: the tension between those scholars who wish to study Peruvian antiquity on a comparative basis and those who take historicist approaches; the concept of "Lo Andino," commonly used by many specialists that assumes long-term, unchanging patterns of culture some of which are claimed to persist to the present; and culture change related to severe environmental events. Consensus opinions on interpretations are highlighted as are disputes among scholars regarding interpretations of the past. The Ancient Central Andes provides an up-to-date, objective survey of the archaeology of the Central Andes that is much needed. Students and interested readers will benefit greatly from this introduction to a key period in South America’s past. "Quilter’s text is a succinct and up to date account of the cultural history of the Central Andes. Period by period he cuts to the heart of the important developments, and provides students with a sense of the magnificence of ancient Andean civilization. His explanations and interpretations of past events are clear, yet nuanced and balanced." – Katharina Schreiber, University of California, Santa Barbara, USA. Jeffrey Quilter is the William and Muriel Seabury Howells Director of the Peabody Museum of Archaeology and Ethnology at Harvard University, USA. He previously served as Director of the Pre-Columbian Studies Program and Curator of the Pre-Columbian Collection at Dumbarton Oaks, Washington DC and as a professor of Anthropology at Ripon College, Wisconsin. He has been involved in archaeological research particularly in Peru and Costa Rica. He has published numerous articles and books including Life and Death at Paloma (1989), Cobble Circles and Standing Stones (2004), Treasures of the Andes (2005), and The Moche of Ancient Peru (2011). The Routledge World Archaeology series provides up-to-date surveys of key areas of the world. The volumes are intended to support students wishing to study the archaeology of these important regions for the first time. However, by including the latest research and discoveries the books will also be of interest to scholars and professional archaeologists. The Routledge World Archaeology series details in a clear and approachable fashion the wonder of archaeological findings and interpretation from around the globe.